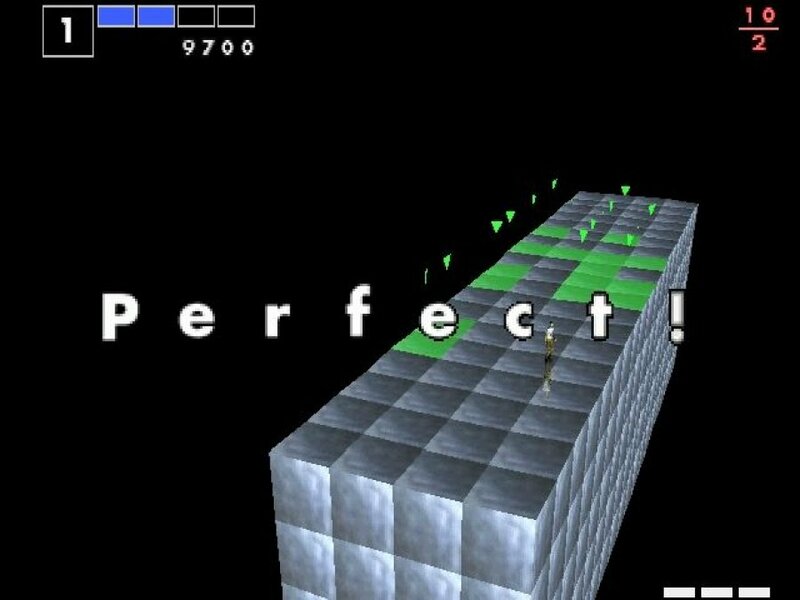 You run around on a floating platform in the middle of a void, swallowing cubes into the ground one-by-one as they menacingly roll towards you. Every time you survive one wave, a disembodied, booming voice shouts “PERFECT!” before more cubes are sent your way. The process goes on for what seems like forever until the cubes eventually overwhelm you, sending you falling into a neverending darkness as the ground beneath you gives way. 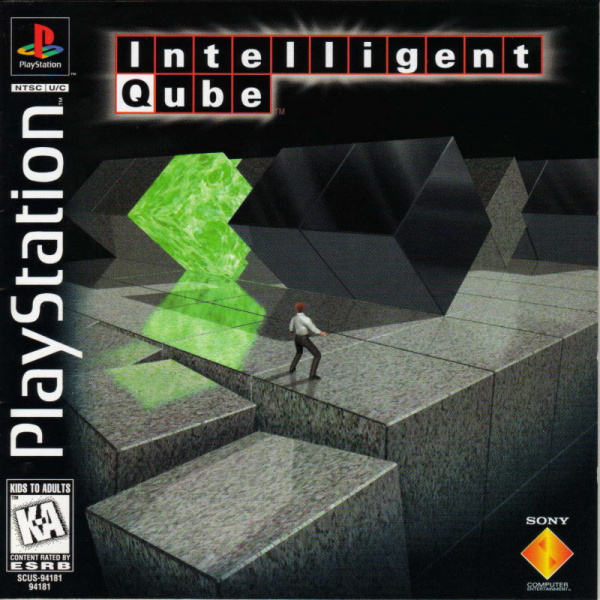 Welcome to fun PSone puzzler Intelligent Qube! It certainly feels more like a horror game than a puzzle game, but that’s what makes G-Artists’ magnum opus so interesting. The basic textures, the authoritative announcer, and composer Takayuki Hattori’s creepy soundtrack are already all pretty unnerving, and when mixed with IQ’s stressful gameplay it’s a wonder that the game is actually enjoyable. But it is. In fact, it’s infectiously fun. Designed by Tokyo University of the Arts professor Masahiko Sato, IQ’s gameplay is pretty simple. 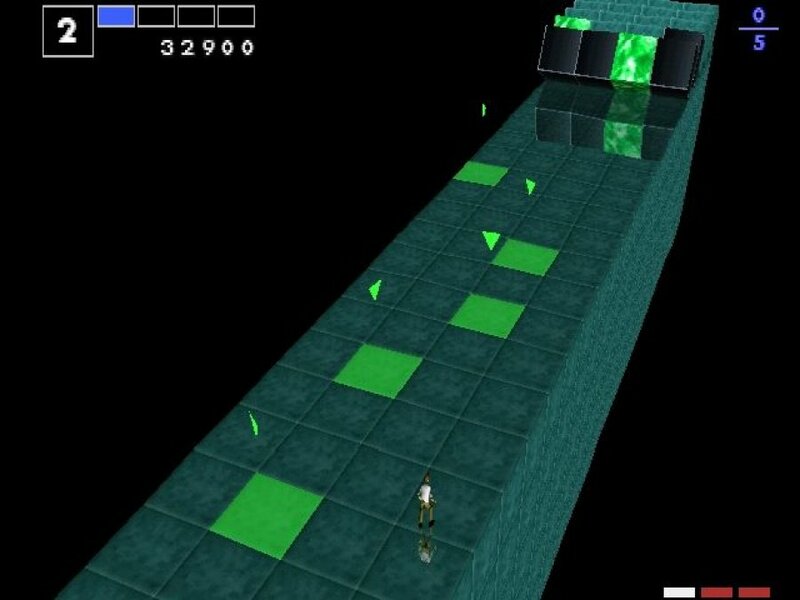 Waves of blocks roll towards you, so you have to activate then deactivate the square beneath them to capture them before they roll over you or go over the edge of the platform. Capturing a green block allows you to set a “trap” that will capture all blocks in a 3x3 square once activated, while capturing a black block is punished by removing a row from the stage. If you can clear all the blocks before they go over the edge, another line will be added to the platform, giving you more time to clear the next wave as well as giving you a score bonus at the end of the level. If more cubes fall off the stage than the number specified on the block counter (the width of the stage minus one) then you’ll lose a row of the stage. 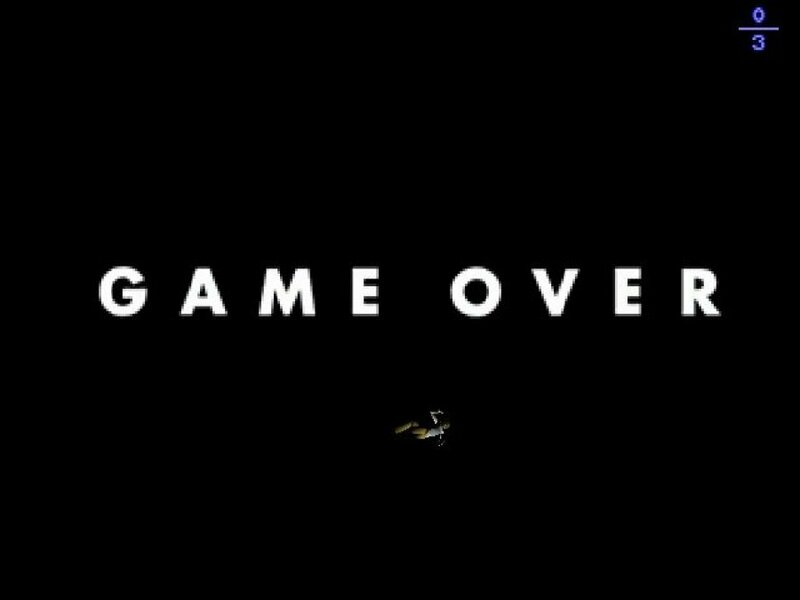 Lose enough rows and eventually you’ll fall off the stage, ending the game. It may not sound it when explained on paper, but Intelligent Qube’s gameplay is very simple – and that’s what makes it fun. Although later stages complicate things by making everything bigger and forcing you to rely on the green cube traps in order to beat the waves, ultimately the game’s core mechanics never change because they never need to. The design is fantastic from the beginning. 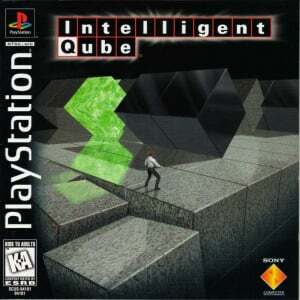 Of course, being a PSone game, Intelligent Qube is harsh. There’s no saving between levels, so if you want to complete the game without starting over, you’ll have to play the entire set of levels in one go. This only takes about two hours, but that’s providing that you finish every level first-time, something that’s pretty much guaranteed not to happen. And even if you do finish the campaign, there’s no real recognition or reward of your achievement besides your own satisfaction. 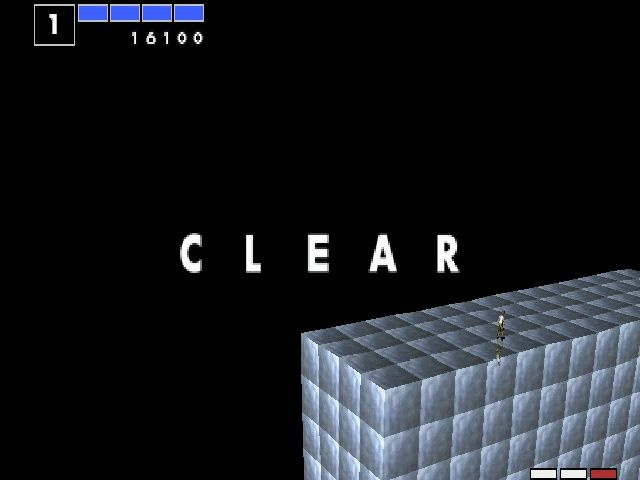 Sure, you might be given a new character to use, but there’s never really a definitive end to Intelligent Qube. Whether you win or lose, everyone gets the same result: a total score and an IQ rating suggesting how efficient you were at capturing cubes. There’s no celebration of your accomplishments, just a suggestion that it’s possible to do better. That’s what keeps roping you in. That’s the appeal of Intelligent Qube. It’s cold and calculated. The gameplay constantly revolves around numbers, not just in terms of scoring but even while you’re playing it. Can you afford to let that amount of cubes roll over the edge without costing a crucial row? It’s all about making quick calculations in your head, because if you throw caution to the wind you’ll probably end up losing. Again, on paper this doesn’t sound pleasant or fun at all, but when you play it everything somehow comes together. 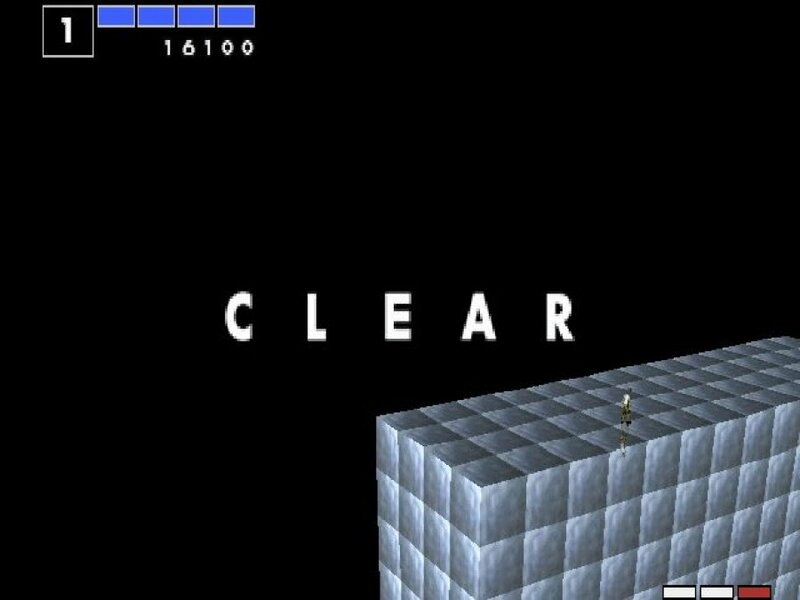 The PSone’s best titles were often its most experimental and obscure, and that only became more true when an arts professor and the composer of Godzilla vs. SpaceGodzilla came together to create Intelligent Qube. Intelligent Qube is a very, very unique PSone puzzler. Words don't do its unnerving style or relentless gameplay justice, which is probably why it focuses so much on numbers. There was nothing else like it before, and there hasn't been much like it since. Play it. I wish sony just let ps4 owners buy and play ps1 digital games on psn, just add filtering option like in some emulators and it will be perfect I think, no need to add trophy, etc. Psvita can play ps1 games, so why ps4 can't? I remember getting a demo of Kurushi from OPM in the UK. Loved it and immediately bought the full game. One of my all time favourite games. Got Kurushi Final on my Vita the moment it became available. Brilliant game. Cool. I didn't know about this game in all this time. Sounds like I missed out all those years ago. Although perhaps my impatient teenage self would have struggled. Perhaps my impatient adult self won't. As gaming moves forward towards live services and microtransactions, I think I'll start heading in the other direction and sample the gems like IQ which I missed the first time around. I DONT KNOW HOW IN THE **** I MISSED THIS GAME DURING THE ANNOUNCEMENT!!!! I’ve wanted a rerelease or remaster of this game for YEARS!!!! As a matter of fact, it’s the only game I’ve wanted rereleased or remastered. Now I want one of these babies!!!! I know it's not much to look at, but this game is great. Probably not worthy of being on something titled the 'PS Classic', but very good all the same. @outsider83 if you’ve got a Vita, Kurushi Final is in the PSone section. Also on PS3. This game was one of the first games we ever got on Playstation 1. I must have been about 6 or 7 at the time. This game was a trip. Man the 90s was a great time to live. I believe we beat the game as well.